We hope you had a wonderful Christmas time surrounded by loved ones, happiness and fun! We also want to wish you a very happy New Year! 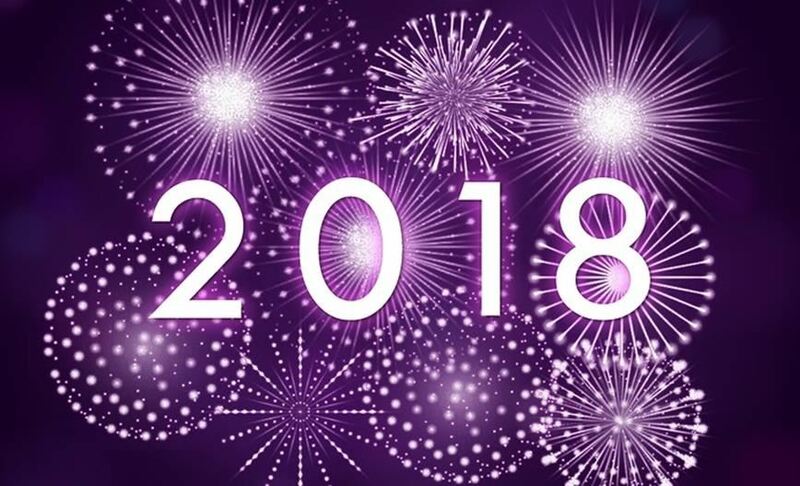 We hope 2018 will be a fantastic year for you and your loved ones that is full of love, peace and positive direction in whatever you’re setting out to do! It’s a long time off yet, but here at Halloween Horror Shop we’re looking forward to the upcoming spooky season where we can bring our Halloween homes to life once again! A new year brings new chances to improve our Halloween decor. Keep checking back at our site for any new products and great ways to upgrade your home this Halloween. Why not make 2018 the year that you treat yourself to some brand new spooky Halloween items?! Here at Halloween Horror Shop we’re seeing in the New Year with a fantastic 50% sale on all of our wonderful Halloween products! Why not make use of our fantastic savings and stock up ready for this year’s spooky season? Whether you’re looking to replace or add to your collection, a great deal can be found on our Halloween Lights, Inflatables, Decorations and more! Our Halloween inflatables are suitable for indoor and outdoor use and come complete with support ropes and pegs! Perfect for adding a spooky touch to your Halloween display, our range of Halloween lights can be used both indoors and outdoors and add spook-tacular effects to your home when the sun goes down! Here we have a selection of unique props to unsure your Halloween party is as scary and impressive as possible! From spooky skeletons to crawling zombie torsos, we do really have everything! Bring your party to life this year with all our essentials here. From table covers to plates and cups, no matter what age you’re catering for, our Halloween Decorations are guaranteed to be a hit this year! We look forward to bringing you this Halloween season a selection of the scariest Halloween Fancy Dress costumes! Prices to suit all budgets and accessories to complete all fancy dress ideas! We would like to take this opportunity to wish all our wonderful customers new and old, and all our followers a very happy 2018! We hope to assist you with your Halloween shopping soon in the future!